Metrix Electronics' digital panel meters range is extensive. It includes panel-mounted digital ammeters, digital voltmeters, digital temperature meters and serial displays - for laboratory and industrial applications. 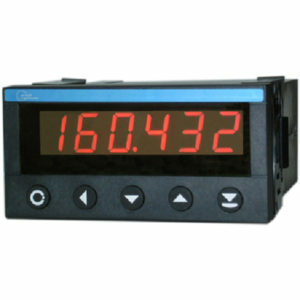 Digital panel meters constitute the largest family of automation equipment. 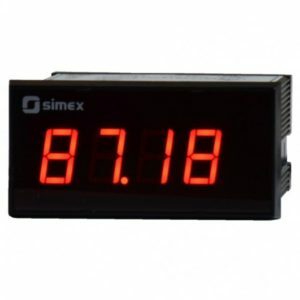 They range from simple LED indicators designed only to display basic parameters such as working states or physical quantities (temperature, level, pressure etc. ), to complex controller units with several relay outputs. Applications are common in manufacturing, power generation, laboratories and chemical processing. 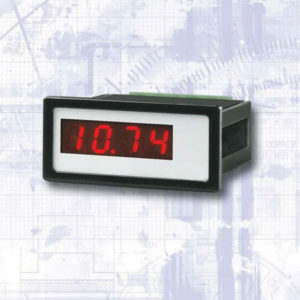 Dependent on the type of signal measurement or sensor used, digital panel meters can have inputs for current, voltage, millivolts or be adapted to suit an RTD temperature sensor or thermocouple. Metrix also offers many of these meters in waterproof cases. This permits separate mounting local to the actual industrial processes. Furthermore, many meters offer serial communications ie: connecting back to a central control room. The OC7040A is a six digit programmable controller with 100000 true increments. OC7060 is a programmable 6-digit Monitor/Controller for direct connection to Serial Ports RS232 or RS485. 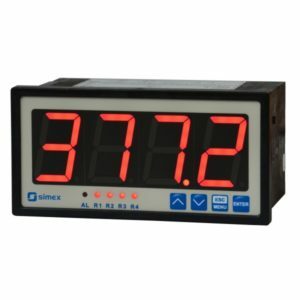 DIGEM 48×24 AK5 2V3.5 digit digital panel indicator, 48x24mm, with 8mm digits. 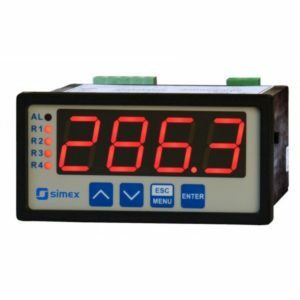 The GMW Digem 48×24 AK5 2V is a 3.5 digit digital panel indicator (A1125), 48x24mm, with 8mm digits for current or voltage input. 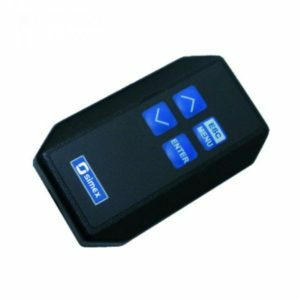 The Simex SIR-15 is an InfraRed remote controller. SLC-94 timer with 6 LED digits (13mm) and START/STOP pulse inputs with counter reset input. SIMEX model SLN-94 is a counter designed for up-down counting of pulses in 3 decades and has a single program register used for programming the batcher function. 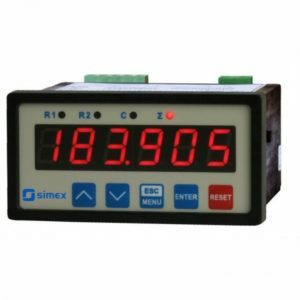 The SIMEX SRP-147 meter is designed for measuring of typical current or voltage signals. Equipped with a large, 38mm high LED display the meters may be used in various process control systems. 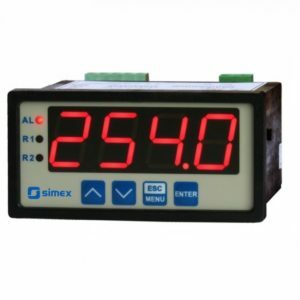 The SRP-73 meter is a 4-digit process meter designed for measuring of typical current or voltage signals. 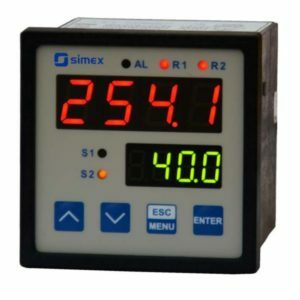 The Simex SRP-77 is a Process Meter with two rows of display, 1 voltage input, 1 current input and 1 or 2 Relay Outputs. The SRP-94 meter is a 4-digit process meter designed for measuring of typical current or voltage signals. 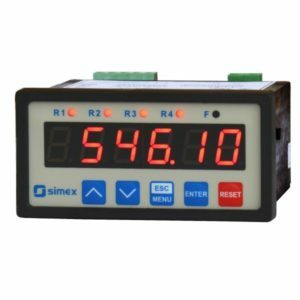 The SRP-946 meter is a 6-digit process meter designed for measuring of typical current or voltage signals. The Simex SRT-77 is a Dual-Display, Panel-Mount, Temperature Meter. The SRT-94 meter is designed for temperature measurements. 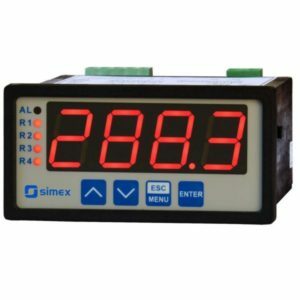 The SIMEX SUR-94 Digital panel meter with 20mm digits and universal input. SW-BCD-94 universal indicator with serial and parallel input, 96 x 48 mm, 4 digits. 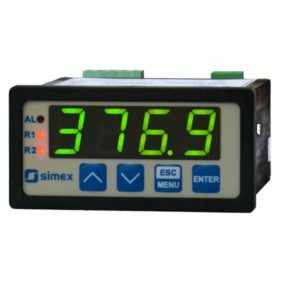 The SIMEX SWE-73A is a simple and low cost 4 digit digital panel indicator, 72x36mm, equipped with current or voltage input. 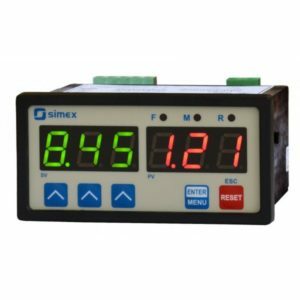 The SIMEX SWE-73L is a simple and low cost digital indicator with a single 4-20 mA current input, which powers this device at the same time (loop powered).